If you’re already planning on setting yourself some well-intentioned but potentially hard to achieve goals on the first day of the year read on. That pesky feeling of shame when you’ve over indulged, and the onslaught of “New Year, New You” messages everywhere you look make it easy to get sucked into setting yourself a punishing New Year’s Resolution. The festive season is meant to be fun so give yourself a break. Most people who set themselves an unrealistic goal in January ditch the good intentions in less than two weeks. This New Year be kinder to yourself if you want to see results. Take the pressure off, set realistic long term goals and ease yourself into a sustainable routine you can maintain year-round. According to Strava, 92% of people who set themselves the goal of an event are still active 10 months later. If you’re feeling the pressure and struggling to find a routine that works for you, taking part in something as a group is a great way of having a support system while taking it one day at a time. Kim Scott managed to turn her life around after her initial plea to find a running buddy turned into forming a running group of over 7,000 women. Kim took up running ten years ago and would run alone in the dark, worried that people would laugh at her. 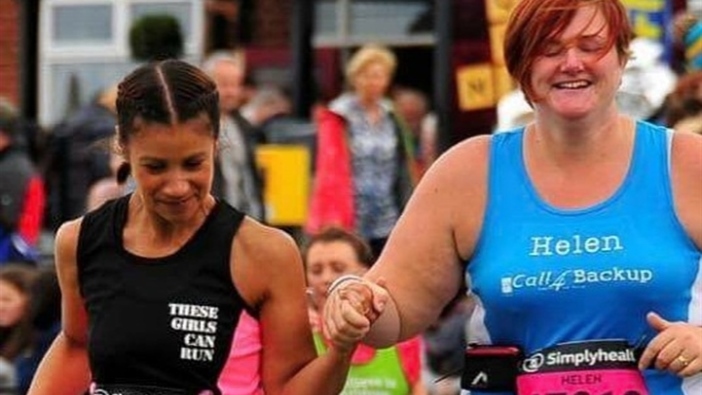 After gaining a place in the Great North Run, Kim put a call out on Facebook for her friends to join her on her training, so she wasn't alone. 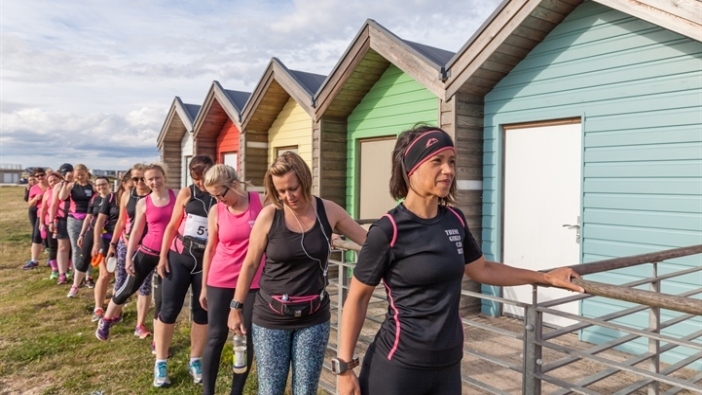 She was shocked when a huge group of women turned up ready to run with her and she was inundated with messages from ladies who wanted to join her but they felt they were too overweight and unfit. Two years on, Kim now has over 7,000 women as part of the These Girls Can Run group, which aims to focus on positivity over pace. She’s also launched a similar running community for men, These Guys Can Run. Kim said: “This experience has shown me just how many people wanted to be more active but just didn't know where to start as so many quick fixes, gyms and exercise classes feel out of reach. "I decided to make the running groups about the people who felt the pressure like I did all those years ago. 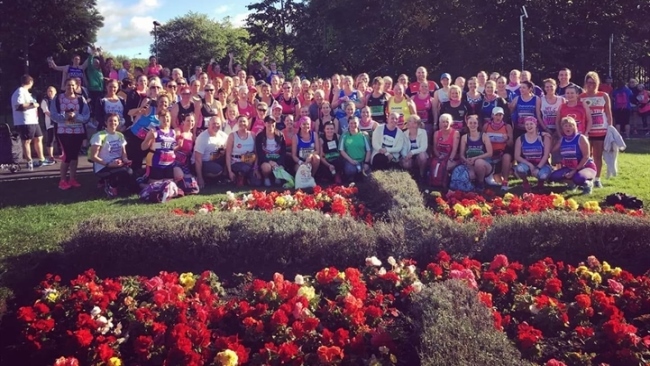 "I wanted to use our groups to break down some of the barriers which prevent people from exercising and build an amazing community who show that running can be for everyone. “We see lots of people in the New Year who have made a resolution to take up running. Don't get me wrong, it's amazing that so many want to start, but before long the wheels start to come off. “We people put pressure on themselves and find themselves so disillusioned when they don't achieve what they want as quickly as they want that they soon stop coming. That's really sad. “Running is naturally something you can fall in and out of love with so we encourage people to take the pressure off themselves, set themselves a longer term goal which is realistic and achievable with our help. “Running can give you such an amazing sense of achievement and every time you reach a goal you will grow in confidence. That shift in mindset can make all the difference and suddenly you realise you can achieve anything you put your mind to. That is where real change happens." Her advice to the thousands of people who run together with her every year is to take the pressure of yourself. “My advice for a new year is to be kind to yourself. Take away the pressure and unreasonable expectations that News Years Resolutions can bring. “Commit to making small changes to your everyday life which will take you towards your long term goal. Great Run Local is a free, weekly, friendly running events organised by fantastic volunteers that take place across the UK. The runs are 2km and 5km in distances, to encourage participation, ideal for beginner runners and families as well as regular runners. It’s the perfect opportunity to socialise and meet new people. Find your nearest Great Run Local here. Mum-of-two, Mel Bound, from Bristol, put a shout out for a running buddy on social media. From that post, 75 mums turned up to run with her. Hundreds came the following week and This Mum Runs was born. This Mum Runs now offers hundreds of free runs a month across Bristol, Bath and London, a growing programme of coaching and courses, a specially trained team of coaches (Run Makers) and volunteers (Run Angels). Their philosophy is if you run to how you feel, because of how it makes you feel, running is for everyone. GoodGym encourages people to combine exercise with doing good for the community. There are group runs, which give the opportunity to head to a place to work with others on doing something good for the area. The scheme has branches in 47 locations across the country including Newcastle, Brighton and Birmingham. Joining a social group doesn’t just have to be in person, there’s plenty of online networks that offer support, motivation or just the opportunity to speak to others who love taking part together. Run Mummy Run is one of the online communities which offers that. With over 60,000 Facebook members from all over the UK, it’s a great motivational tool to inspire people to be healthy but happy.